London, 21st February 2019 – Encoders and decoders from Open Broadcast Systems are powering Livelink, the IP delivery solution recently launched by Cerberus. 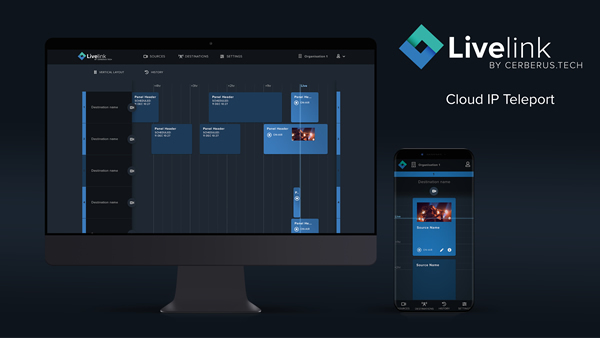 Livelink is an internet-based product designed to move valuable live content from source to destination without the need for expensive traditional infrastructure and services. It operates as a self-service web portal which enables broadcasters and other media distributors to schedule and manage bookings against valuable live content, such as sporting matches, special events, news, or other on-location activity. Livelink has been developed using OBE C100 and C200 encoders and decoders from Open Broadcast Systems. These enable the delivery of high-quality video with low latency and run as apps which Cerberus has been able to simply embed within its Livelink solution. The C100 model is ideal for entry level news and sports content, whereas the C200 can be used to encode and decode premium broadcast content still at a low price point. Open Broadcast System’s encoders are generally used for contribution over IP. This integration with Livelink sees them being used to good effect at delivery. at BVE from 26th – 28th February. Kieran Kunhya will also be joining a panel to discuss early adopters in the IP domain on Wednesday 27th February from 12:15pm.